The small northern B.C. 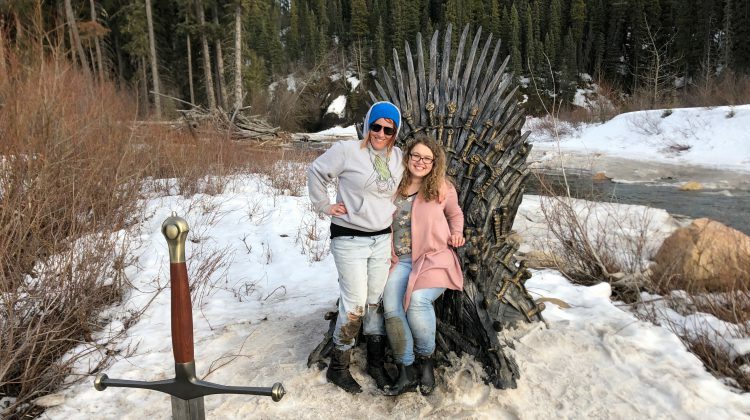 community of Tumbler Ridge had hundreds of visitors this weekend from as far away as Alaska and Calgary, hoping for a chance to sit on the Iron Throne. The throne was part of the critically acclaimed HBO Game of Thrones series scavenger hunt. One of six thrones hidden around the world as part of the lead-up the 8th and final season. 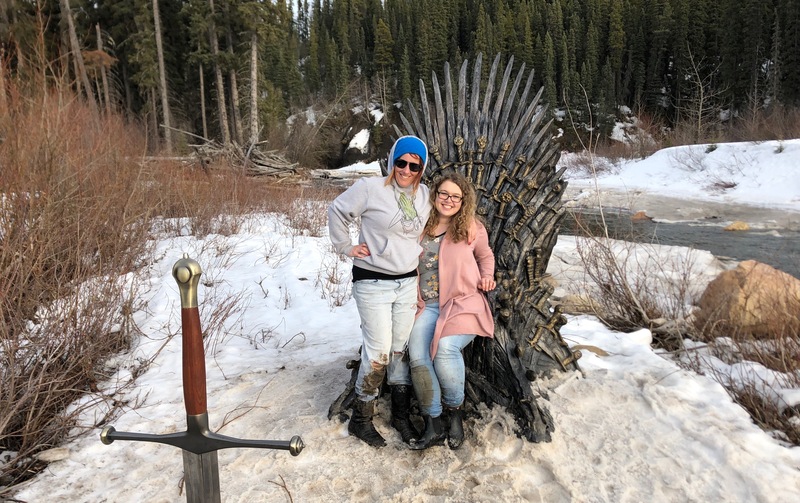 Local Tumbler Ridge residents found the throne a week ago and since then its brought a lot of attention to the town of only 1000 with organizers having to turn away people waiting to sit on the throne. Kyle Albersworth from Fort St. John was the last in the line of Saturday and said the three-hour drive and four-hour wait is worth it. This weekend was the last chance for people to see the throne. Fans of the show who were not able to sit on the throne were still able to take photos from atop a ledge near the throne. Some dedicated fans went as far as to cross the melting river and hike through 2 feet of snow to get a photo after being initially turned away. Spring may be here but if the number of people heading north proved anything its that winter is coming.